Lesley Diane Sanchez had big dreams. She wanted to be a lawyer someday, perhaps even president of the United States. Her dreams, and those of her parents for her, were cut short in 1993 when Leslie died just two years into her studies at UC Davis. To honor their daughter’s passion for education and political science, Richard and Patricia Sanchez established an endowment to fund the Lesley Diane Sanchez Scholarship. The award supports women with financial need majoring in political science and excelling academically. Recently the couple made a bequest of $450,000 to further fund the scholarship and expand its reach. 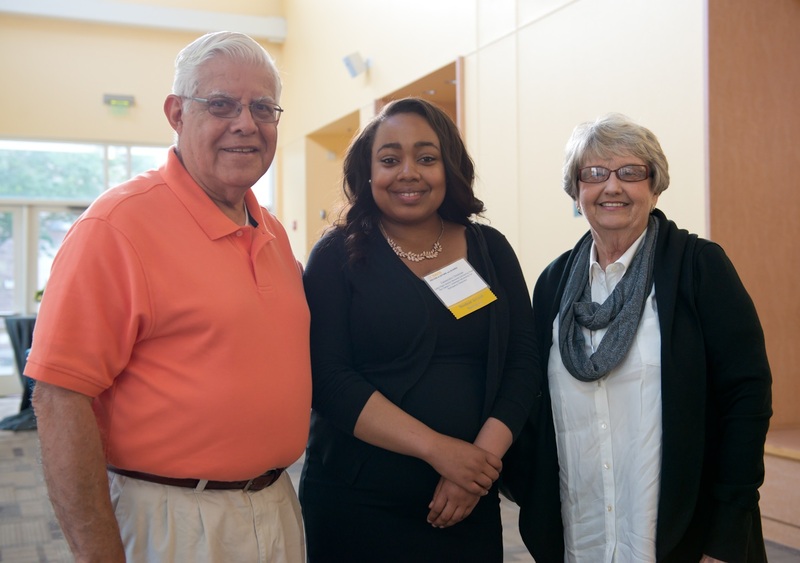 Richard and Patricia Sanchez with Cassaundra Christmas (center), recipient of the Lesley Diane Shanchez Scholarship in 2015. Shayna Frieden, the 2017 recipient of the Lesley Diane Sanchez Scholarship, said the scholarship was a “huge honor.” Frieden is a junior taking a double major in political science and economics. “I am working hard, just like Lesley. It is so beautiful that her parents set this up. I can’t thank them enough,” she said. For more information on making a bequest to the college, contact Charlene Mattison, assistant dean, college relations and development, at cmattison@ucdavis.edu or 530-752-2225.